Dr. Taylor, and his office manager, Libby, will ask you to fill out several registration forms requesting a description of the symptoms you are currently experiencing, and some routine personal, and insurance coverage information. We will also provide you with a copy of our office policy form, to review and sign. For your convenience, you may download these forms, complete them beforehand, and then bring them with you to your first visit. The first consultation session is typically 60 minutes, and subsequent treatment sessions may be scheduled for 60, 45, 30, or 20 minutes, depending upon need. Dr. Taylor may suggest a second consultation session before treatment options are discussed or offered to you. With your permission, he may request to speak with your current, or previous treating doctor and therapist. A consultation is an information gathering session, designed to determine what direction treatment should take. If desired, Dr. Taylor can refer you to another therapist with different expertise, time availability, or fee schedule . 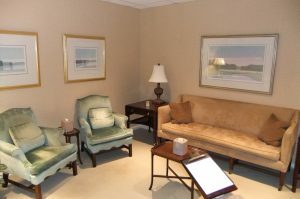 If you choose to see another therapist, with your permission, Dr. Taylor will be happy to confer with them. If you would like a family member, or significant other to join you during a consultation, or subsequent treatment session, feel free to say so. All consultations are conducted in person. If, however, during the course of treatment, you are unable to come to the office because of, poor weather conditions, personal illness, illness of someone you are caring for, or if you are out of town, a telephone or videoconference, may be offered as an option. Please print out these forms, fill in the information, and bring them to your first appointment. The answer is that, Dr. Taylor’s office will electronically submit an insurance claim to your insurance carrier, and request that payment from your insurance carrier be mailed directly to you so that you will always know what payments are made for a treatment session. Dr. Taylor is a “non-participating physician” with all insurance companies, which means that he has not entered into any contracts with insurers who determine his fees. Insurance carriers will typically pay less for non-participating physician services, than participating (also known as “in network”) physician services. Dr. Taylor has “opted out” of medicare and medicaid, which means that he submits no statements to, nor receives any payments from, these insurance programs. However, if you have medicare or medicaid, you may enter into a private contract with Dr. Taylor to pay him directly for treatment services provided. If you have a secondary insurance carrier in additional to medicare, that insurer may reimburse some part of Dr. Taylor’s fee for services. Dr. Taylor prefers payment in full at the time of services rendered, however he can arrange with you to pay at differing intervals if it is more affordable for you, or in installments if you become financially distressed. Fees may sometimes be adjusted if your financial circumstances change. Payment can be made in the forms of check, credit card, or debit card. For tax purposes, statements for services rendered to you are always available. No information about your treatment will be provided to any other party without your expressed permission. For patients who do not want statements of service to be submitted to their insurance carrier, a statement for services rendered will be directly provided to you. If you do not want a prescription to be submitted to insurance, Dr. Taylor will call your pharmacy, and instruct them not to do so. In order to preserve your privacy, Dr. Taylor does not allow audiotaping, photographing, nor videotaping within his office.